Goa is situated on the south west coast of India and its location is very favorable for people to reach here by air, railways, roadways and also the sea. Even though Goa is India's smallest state, it has its own airport and railway station that are no less than the ones that are located in metros. Traveling to Goa is not at all tedious as you have interstate as well as local transport. 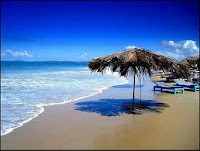 Reaching Goa is quite easy and getting to this place should not bother you at all. In case you still have doubts regarding how to reach Goa, you can always check out the information given in the following lines. One reach Goa very easily as it is linked via flights to all major cities in India like Delhi, Mumbai, Trivandrum, Pune, etc. as well as some international destinations in UK and Gulf countries. The Dabolim Airport located near the town of Vasco Da Gama is Goa's exclusive airport and can be reached from any place in Goa by hiring local transport. Goa has a well planned system of railways and commendable railway tracks. India's all important and major metro cities are connected to Goa through railways. The Konkan railway line has considerably reduced the traveling time to Goa and connects Goa to major cities like Delhi, Mumbai, Trivandrum, etc. Goa has a well planned road system that helps people reach Goa from nearby states. One can reach Goa via roads from places like Bangalore, Pune, and Mumbai. Goa also has three national highways that pass through which include NH - 4A, NH -17 and NH -17A. One can hire interstate buses that are run by Government owned tourist corporations or private cabs from nearby places to reach Goa. 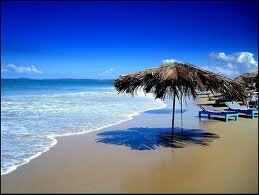 Goa is situated on the west coast of India and has the vast sea flanking its border. You can choose from the various cruises that are available from Mumbai and take tourists to Goa. During the monsoons however, the service is withdrawn temporarily due to the erratic behavior of the sea.